The Model 747-TK offeres the same great features as the 747-FR2000 series, offering a Ford gas engine and Giant triplex plunger run-dry pump as standard equipment. 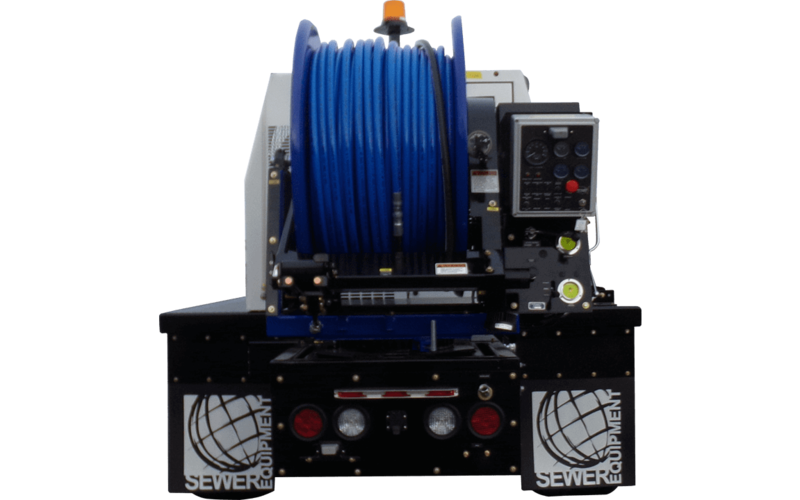 At Sewer Equipment, we assure our customers with a vast support network, utmost performance and reliability for the life of the machine. Frames made of fully-welded 1/4″x 2″ x 6″ steel tubing for maximum strength and durability are certified by the National Association of Trailer Manufacturers, assuring you of adherence to all federal D.O.T. regulations and safety standards. 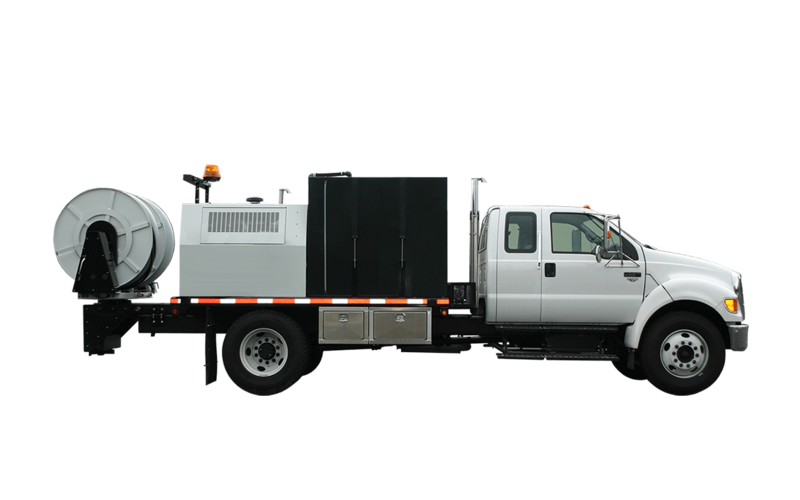 Like all Sewer Equipment CO. of America jetters, the 747 comes standard with our fully baffled Duraprolene water tanks, to eliminate surging while stopping and turning with water on-board. 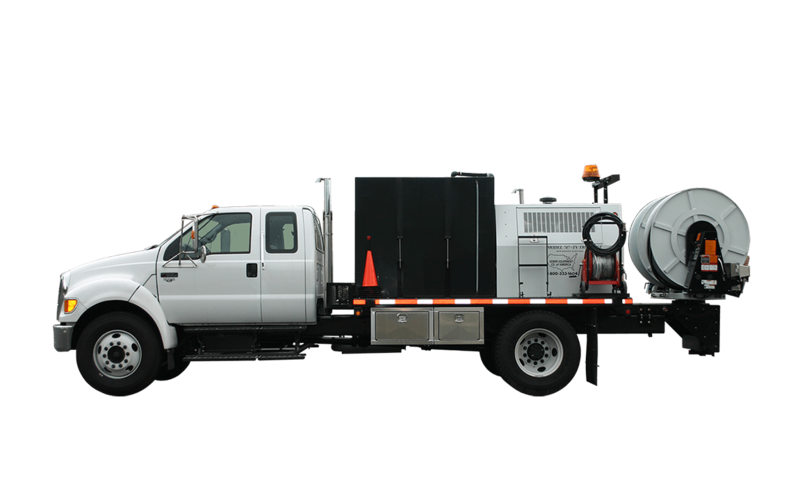 The rotating hose reel allows operators to work efficiently, while positioning themselves out of traffic and other hazards, and a NEMA 4 watertight control panel is located on the hose reel, easily accessible to the operator at all times. 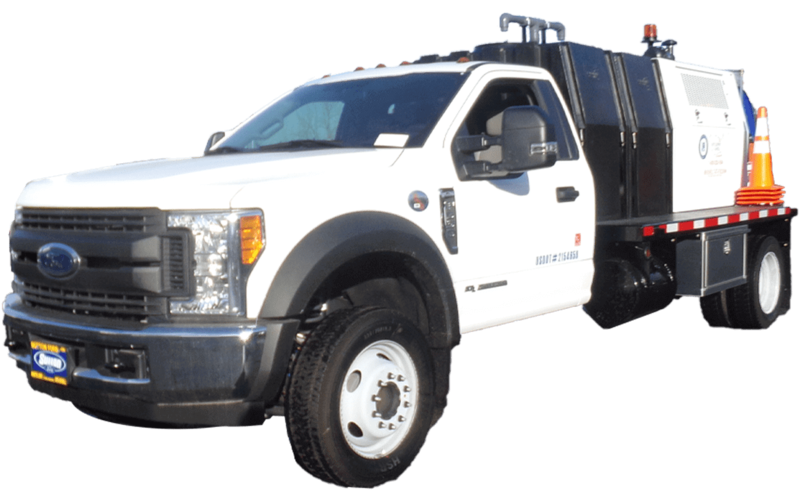 The ECO platform allows the engine to run at 33% less RPM than tradition designs, saving on operating costs due to decreased fuel consumption and creating a safer work environment for operators due to lower noise emission. 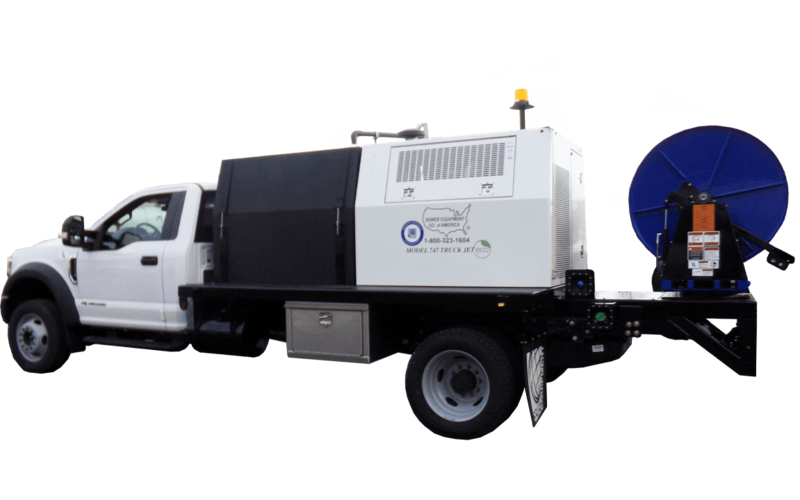 The Model 747-TK combines the same high pressure sewer jetting power and features as the 747-TK with the added technology of CCTV. 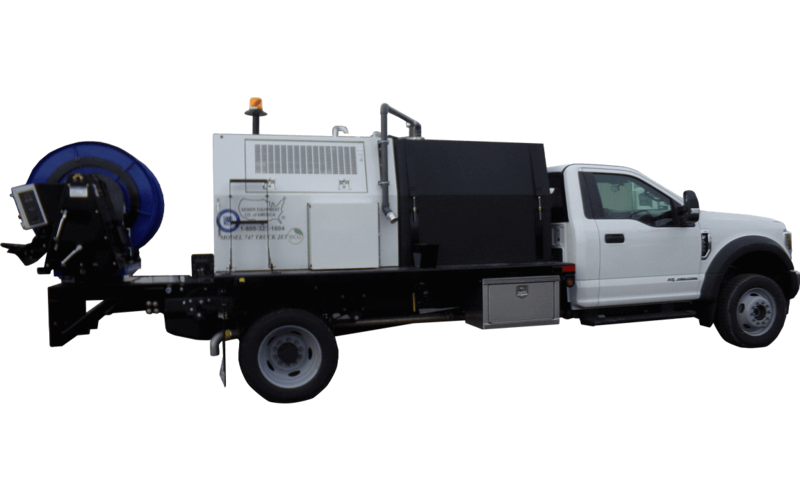 This combination allows any city, contractor or agency to provide both cleaning and televising services using only one piece of equipment. 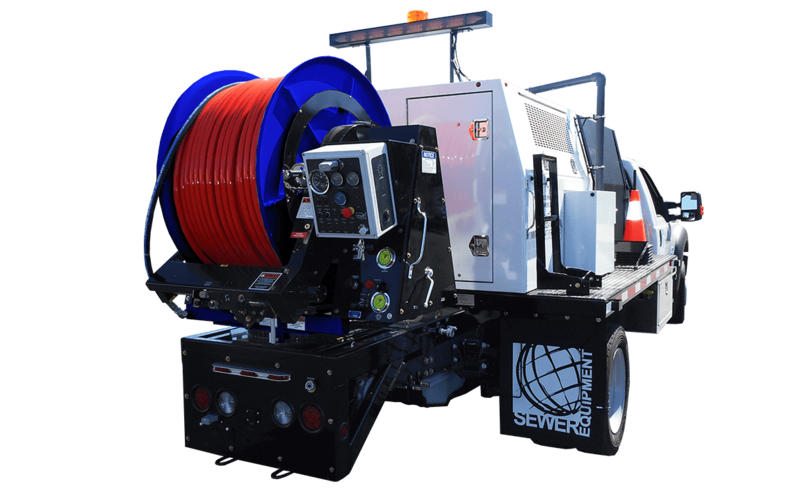 Our unique “Dual Rotating Hose Reel” provides up to 500′ of the innovative “Umbilical Cord* on one reel, and up to 600′ of 3/4” hose on the second reel, allowing both cleaning and televising can be done separately or at the same time, making this the only machine of its kind. 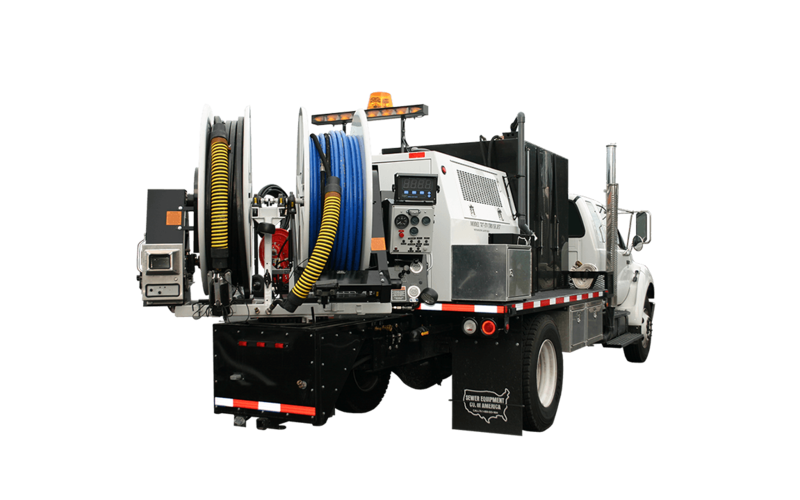 The Cues Camera Jet Pod System provides the ability to inspect the pipeline while performing the cleaning process to determine if the pipe needs further cleaning, inspection, repair or evaluation. A specialized camera provides up-close imaging of pipe walls and surfaces to locate pipe deformations and irregularities, such as broken, collapsed and cracked pipes, leaking joints, and more.